Your favorite football head and all his pals are here with enough fun and laughs to cover several city blocks! My older children used to watch Hey Arnold every day after school when they were young. I remember so many of the episodes fondly. Arnold and his pet pig are always up to something. 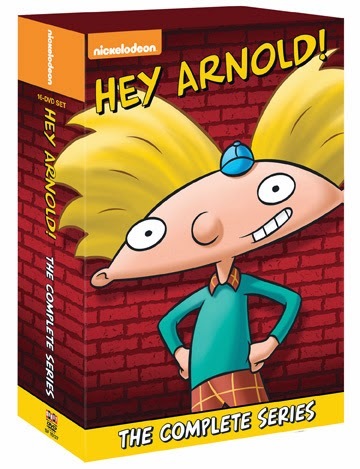 Let's have another generation of children enjoy Hey Arnold! On DVD August 19, 2014 only at Walmart!